Most readers assume that the speaker in a poem is the author of the poem, and the content of the poem reflects the experiences and sentiments of the poet. However, as poets, we do things to create a particular effect, and the use of a persona is one of those things. In other words, poets will wear a “mask” to conceal their identities in a poem for artistic purposes and to serve their poetic needs. In this exciting course, for writers of all levels, students will learn what it means to wear the “mask” and explore the ways in which poets use personae. Students will read selected persona poems, sometimes called dramatic monologues, and explore their purpose and use. The course is designed to provide students with an opportunity to experiment with abandoning "I" or "self" by becoming "other" and writing in various personae. The primary goal of this course is to create a safe and supportive online environment where students can learn and explore creative possibilities within their own work through the use of a persona. By reading the selected poems, participating in online discussions, and completing the writing exercises, students will be able to gain insight on the topic of persona poetry as well as construct their own persona poems. In the first week, students will learn about some of the various ways that contemporary poets utilize a persona in a poem. Students will read selected poetry, participate in the online discussion, and complete the first writing assignment. Students will also receive instructor and peer feedback on their poems. In the second week, students will learn how contemporary poets explore racial, social, cultural, and political issues through the use of a persona. Students will read selected poetry, participate in the online discussion, and complete the second writing assignment. Students will receive instructor and peer feedback on their poems. In the third week, students will discover the range of voice and pitch as they read and explore persona poetry that utilizes multiple voices/speakers in one poem. Students will read selected poetry, participate in the online discussion, and complete the third writing assignment. Students will receive instructor and peer feedback on their poems. In the final week, students will participate in an open forum discussion where we will address additional questions, topics, further readings, and opportunities concerning contemporary persona poetry. 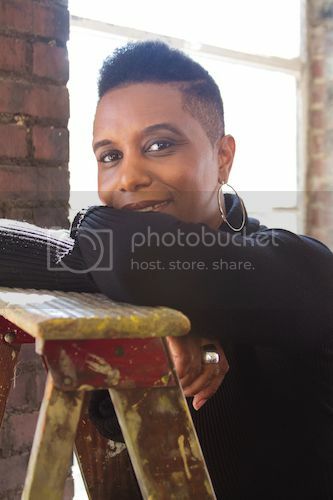 Dana L. Stringer is a poet, playwright, instructor, and freelance writer. She holds a Masters of Fine Arts in Creative Writing from Antioch University Los Angeles and a Bachelors of Arts from Morehead State University. She is the author of In Between Faith, her debut poetry collection. Dana’s work has appeared in anthologies and literary magazines, and she has served as a contributing writer for several cultural and entertainment websites. In 2011, she served as an associate editor for Beyond Words: The Creative Voices of WriteGirl, a literature anthology. She has also been a featured poet in various venues. Dana is also a produced playwright. Her produced plays and staged readings include: Kinsman Redeemer, ID, The Costume Waver, Solomon’s Porch, Colored in Winter, Secret Life in a Sacred House, and Looter. For more information, visit www.danastringer.com.